The Cache la Poudre's famous name translates from French as "the powder's hiding place," and controversy swirls among historians on how it received this name. Most stories revolve around the French fur trapping trade, and how they cached their supplies in the area before making the hazardous journey into the mountains.Today, a different kind of powder fills the valley in winter, but there isn't a ski area in sight — just pristine woodlands, wind-beaten summits and the foamy river. As you travel this byway, keep your eye out for Colorado's state mammal, the bighorn sheep—you may spot them perched on the rocky faces along the idyllic, crystal-clear Cache la Poudre River. Follow the river to Cameron Pass, for views into the broad basin of North Park, which has changed little in the 115 years since the nearby town of Walden was established. 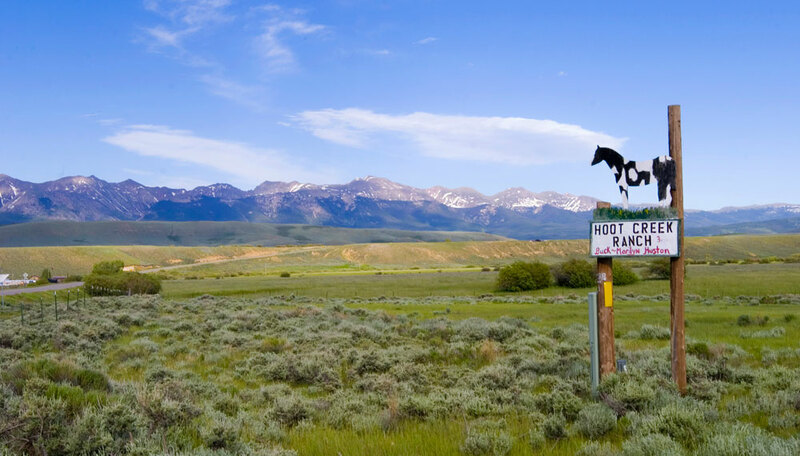 This byway traces the textured history of the area, following a route that was used by settlers to connect the northern plains of Colorado with the Green River settlement in Utah. Beginning in Fort Collins, drivers take U.S. Highway 287 northwest to its intersection with Colorado Highway 14 in Bellvue. From there the highway proceeds up the rugged Cache la Poudre River Canyon. As you travel up the winding road, take time to pull over and watch the awesome force of the Cache la Poudre's rapids. Accomplished kayakers delight in this famous whitewater, especially during spring runoff when it swells to a furious temperament. Make sure you have a pair of binoculars handy — bighorn sheep populate the canyon and can be seen at any elevation on the rocky hills. You may even be lucky enough to see two males butting heads as they fight for territory. Following this Wild and Scenic River — one of the only rivers in the nation with this federal designation — your terrain will alternate between the tumultuous chaos of the canyon and the serenity of open pastures and alpine meadows. Fishermen should bring along their gear, because the river's eddies are teeming with brown and rainbow trout. Colorado Highway 14 progresses uphill and eventually tops out at Cameron Pass, a low forested saddle between the Rawah Wilderness and Rocky Mountain National Park. From here, views stretch down into the bowl-shaped basin of North Park. Surrounded by some of the state's most uniquely named mountain ranges — the Medicine Bow, the Never Summer and the Rabbit Ears — North Park provides a wonderful habitat for mammals. Coyotes trot on the grassland, moose graze along the streams and elk bugle into the chill of autumn air. The byway ends in the town of Walden, in the middle of the park, but your nature-loving can continue. Fisherman may want to head west to the Delaney Butte Lakes, while bird watchers will want to scope the numerous species of waterfowl at the Arapaho National Wildlife Refuge to the south. The byway begins in Fort Collins, where the Avery House and Fort Collins Museum of Discovery provide insight into the city's agrarian past and present. Fort Collins is also home to one of the first National Heritage Areas west of the Mississippi. In Walden, where the byway reaches its end, you can visit the North Park Pioneer Museum.